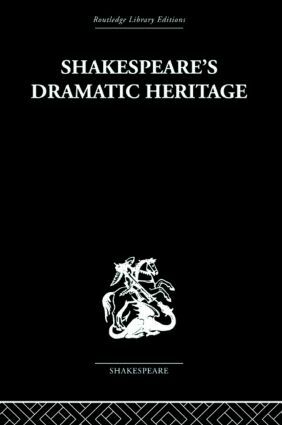 Shakespeare's Dramatic Heritage shows that the drama of Elizabethan and Jacobean England is deeply indebted to the religious drama of the Middle Ages and represents a climax, in secular guise, to mediaeval experiment and achievement rather than a new beginning. This is fully examined in terms of dramatic literature as well as in terms of theatres, stages and production conventions. The plays studied include: Richard II, A Midsummer Night's Dream, Hamlet, Macbeth, Coriolanus, The Winter's Tale and Marlowe's King Edward II.